I’ve been going to diners since I was a kid and I’ve always wondered why they sort of looked like railroad or trolley cars. I decided to look into and found lunch wagons to start off with. 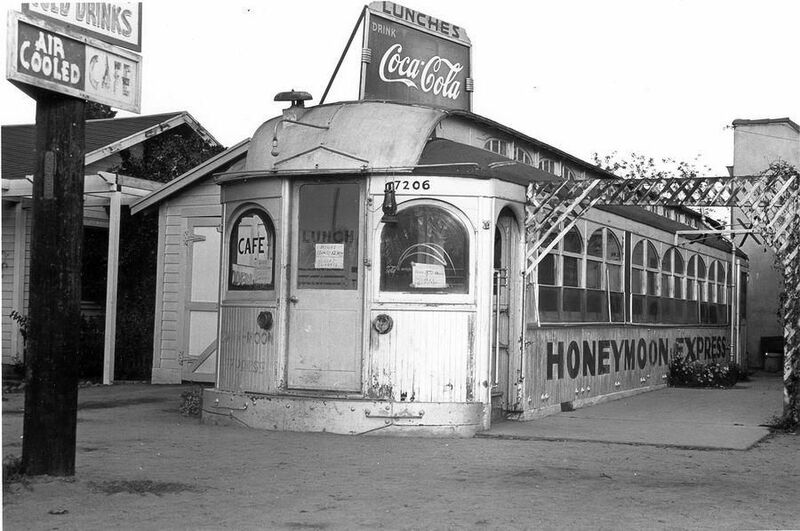 these lunch wagons evolved into the diners that we know when regular restaurants politicked to ban the cars. So the lunch cars lost their wheels and set up roots in the early 20th century The advantage if this was that the buildings could be prefabricated in a factory and plopped down in convenient spots where there might be hungry customers. Most, though were prefabricated in a factory as a diner. 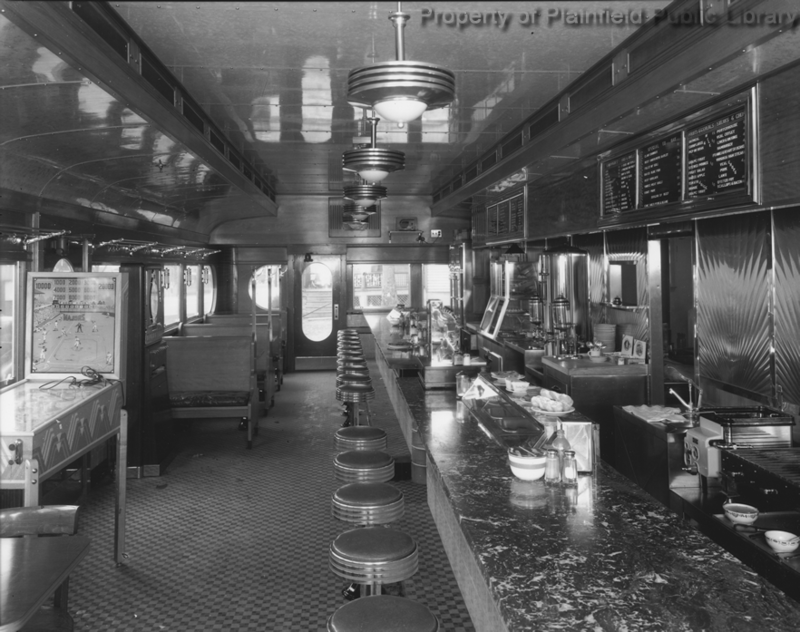 If you look closely, most diners have none of the hardware and fittings of an old railroad car and are wider in most cases than a railroad car and less sturdy since a diner didn’t spend its life in a train. Older diners will frequently have taller foundations because they had wheels at one time. This one is a case in point. 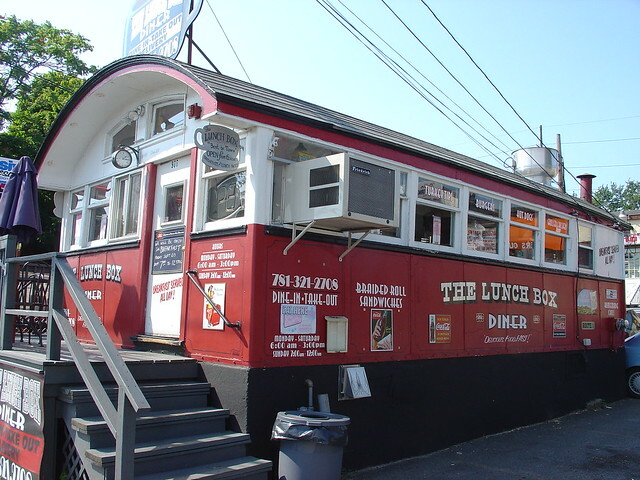 The big three of the dining car business were the Worcester lunch car company in Massachusetts, the O’Manhony Diner company in New Jersey and the Tierney/DeRaffele company in New Rochelle NY. What these companies produced was a portable restaurant that would be shipped to the lot where the prospective owner would start his business. Here’s what a diner looked like on the inside. Diners grew in the 1930’s and 1940’s when the low start up costs and the ability to move the building were advantages. After WW2 the diner industry had to deal with the growth of franchise restaurants and new ways of serving food. The typical diner also became larger and more like a permanent building. But if you look around, you might find one of those old fashioned cars, still serving burgers and shakes. Here’s a bunch of links to diner related articles, books and posts.